Get your whole club transferred to digital subscriptions and we'll give you 10 free promotional copies of RDU each month! of Rotary Down Under and the list continues to grow every day. It may come as a shock to some, but there are actually Rotary Down Under subscribers who don't bother to read their monthly magazine. If you know one of them, why not let them know that they no longer have to carry it from the letterbox to the recycling bin and that Rotary Down Under subscriptions can be ordered online for those who don't want the hard copy magazine clogging up their letterboxes or contributing to our environmental problems. Feedback has been extremely positive and it costs no more. Why not take the electronic edition and give a hard copy edition to your guest speaker, or to your local doctor's surgery or solicitor's waiting room? Some clubs have already taken the decision to take their subscriptions completely online, while maintaining delivery of half a dozen hard copies to give away for public relations purposes. 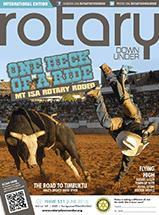 It is still a condition of your Rotary Membership that you subscribe to an approved Rotary Magazine. However, if you and your life partner/wife/husband/de-facto/significant other or even your Rotarian son or daughter or Rotarian brother or sister live at the same address, you are no longer required to take two or multiple subscriptions. These conditions must be met! If you elect to take a digital subscription, you will have to provide us with your email address. Under no circumstances will we pass that information on to any third party. Email traffic from us to you will be limited to delivery of the magazine in the form of link from an email once a month, along with e-newsletters such as this one occasionally when important Rotary issues arise, such as disaster relief appeals like the Queensland floods in 2011 or the Christchurch earthquakes. As subscription to a magazine is a condition of your Rotary membership, we will require advice from your club secretary that you are no longer a Rotarian or that you have taken up a subscription with The Rotarian magazine before we can delete your details from our email database. You will not be allowed to "unsubscribe" from the service unless we hear from your club secretary to the effect already mentioned. If you do try to unsubscribe, we have no choice under the terms of our licence with Rotary International but to restore your details to the printed edition database. The price of an electronic subscription will be the same as a hard copy subscription. 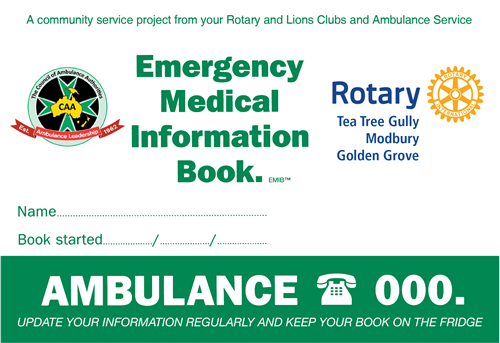 Apart from the expense of providing and continually updating the software required to keep the electronic services provided by Rotary Down Under, it should be remembered that we are still committed to providing a hard copy to everyone who requires it. This means that while the number of people opting into the electronic version can be expected to gradually increase, thereby diminishing the actual print-run of the hard copy edition, we will still have a significant print-run that will remain in all likelihood for many years to come. We are therefore producing two types of magazine and bearing the cost of two production systems. There will, no doubt, be savings on the production of the hard copy edition in time, but these savings will be more than offset by the cost of keeping technologically up to date. Our commitment to you is that when we reach a critical mass of digital subscribers, we will adjust the subscription price accordingly. If you wish to opt into an exclusively Digital Subscription, email: enquiries@rotarydownunder.com.au to notify us now with the words "Digital Subscription" in the subject line and advise your name, email, club and District information.